Reacting to the popularity of the Door County Lighthouse Festival each June and a positive response to last October’s first installment of an abbreviated Autumn Door County Lighthouse Festival, the Door County Maritime Museum (DCMM) is again offering some of its most popular tours Columbus Day weekend. Reservations are now being taken for these nautical adventures that will take place Oct. 8-9 with discounts being offered for DCMM members. The Chambers Island tour and the Sail Door County Schooner Cruise will again be a part of this abbreviated and exciting offering. New this fall is the first land-based tour offered by Door County Nature & Travel as well as a couple different boat excursions by Shoreline Charters. A pair of schooner tours out of the Sister Bay Marina are scheduled for Oct. 8. The 2.5-hour cruise is longer and more historically themed than regular schooner trips. Participants are invited to hoist the sails on the 65-foot schooner Edith M. Becker. The cost is $62 for DCMM members and $65 for non-members. Also on Saturday, Shoreline Charters will offer its Death’s Door cruise. Highlights include water views of the Baileys Harbor Range Lights and abandoned Coast Guard Station on Plum Island and then on to eerie Pilot Island with its bare trees and lighthouse. The cost is $49 per person. 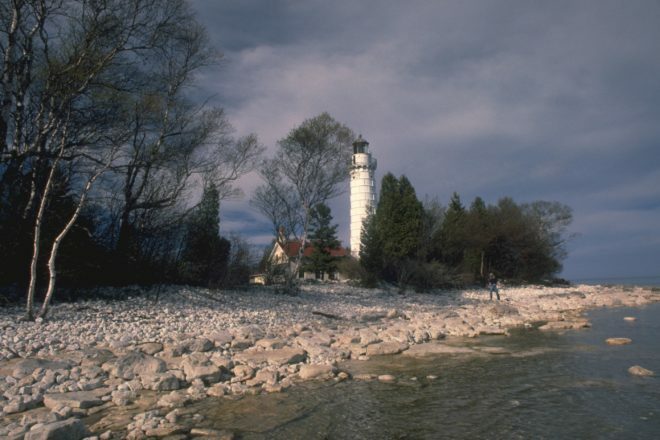 The Door County Nature & Travel land-based tour will include lighthouses in the Baileys Harbor and Fish Creek areas. The four-hour tour includes stops at the Ridges Range Lights, Cana Island Lighthouse and Eagle Bluff Lighthouse. The tour will be capped with a stop at one of the peninsula’s premier wineries. The cost is $49 and includes admission to the lighthouses. On Sunday, the Chambers Island boat excursion and walking tour will be offered. The cost of the tour is $65 for members and $69 for non-members. Shoreline Charters will offer a tour from the Sister Bay Marina that passes the scenic coastline to Eagle Bluff Lighthouse. The cost is $49 per person. For more information or to reserve a spot on any of these tours, call 920.743.5958 or visit dcmm.org.